You would think, in this era of dwindling fuel supply, rising prices and global warming, that making our towns and cities more bike-friendly would be a no-brainer. Cycling is, after all, a low-carbon, low-cost, safe form of transport that has the added benefit of keeping you fit. This is Anna from the LCC. Hi, Anna! But we are a nation of petrolheads. Note that one of our favourite TV shows features three middle-aged blokes mooning over horribly expensive cars. Many local councils talk the talk when it comes to including provision for cycling in their transport infrastructure, but the end result can be less than satisfactory. My home town of Reading is about to launch a bike hire scheme based on the Barclays-backed initiative that has been running with a questionable amount of success in London, but there's no sign of additional bike lanes to cope with the presumed increase in traffic. London, of course, has its own problems when it comes to putting cyclists into the mix. The self-styled "cycling mayor" Boris "Wurzel" Johnson has bowed to pressure from car lobbies and Transport For London in keeping the roads fit for cars, buses and lorries. Pedestrians and cyclists have to take their own chances, and the death toll has been rising. The end of last year was a particularly black time, as seventeen cyclists were run down on London roads in the space of a fortnight. The "cycle superhighways" that were launched a couple of years back are simple blue-painted lanes that most drivers ignore. Something, clearly, has to change. Pier32 is a long-time supporter of the London Cycling Campaign, supplying clothing for them since 2007. 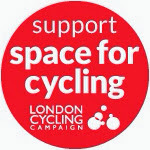 We met up with the LCC at the London Bike Show a couple of weeks ago, to cheer on their Space For Cycling campaign. It's a straightforward and sensible set of waypoints towards a healthier, safer capital. Protected cycle lanes, 20mph speed limits and safer cycle routes to school are all great ways to get people out of their cars, helping to ease the strain on London's congested highways. In the run-up to the May by-elections in which the whole of Greater London elects its borough councils, now is the time to put cycle-friendly policy at the top of the agenda for every council candidate. Many major European capitals have included cycling as a major part of their transport strategy. In The Netherlands, cyclists have priority. It's simply the way that people get around, with the knock-on effect that there's no sign of the testosterone-fuelled lycra-clad morons that give the bike a bad name in the UK. Making room for cycling is, to me, obvious, and I'm delighted to big up the London Cycling Campaign on the View. 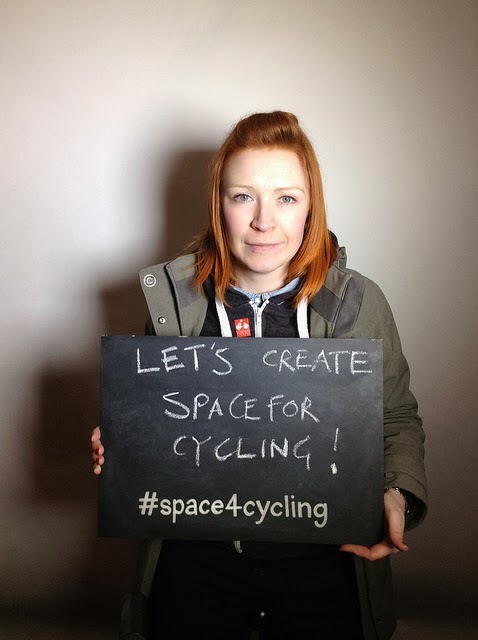 Find out more about why it's good to make Space For Cycling at the LCC website. There are a lot more pics from Anna at the LCC at this Flickr set. Here at The Pier, we're always on the lookout for innovative ways to get the ethical message across to our friends and clients. We believe that promotional clothing doesn't have to cost the earth. Just look at our partnership with ethical brands like All We Do Is and American Apparel. But there's always something more to do, always something new to try. We're delighted to announce the launch of The Salvage Collection, the first range of customisable clothing to be made entirely from recycled fibres. Created by Continental, who have always been a major draw in our catalogue, the Salvage Collection is made from 60% recycled organic cotton and 40% recycled polyester. With this mix, Continental have put together a great range of t-shirts, sweatshirts and bags: all of which we've added to our 2014 range. That's not all. Continental continue to offer a low-carbon range: Earth Positive. The entire range is made from organic cotton as well as being approved by the Carbon Trust as low carbon - 90% less than usual clothing. Even coming from a company that has a long-standing reputation for ethical basics, this is a big step forward. We're proud and excited to be able to offer you this innovative range of affordable customisable clothing. 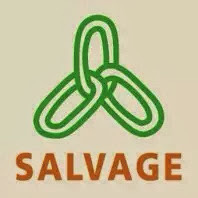 If you'd like to know more about The Salvage Collection at Pier32, then simply click on the links below and in the sidebar, or give Gerry and Ian a buzz. We always love to hear from you. I never cease to be unboggled by the ingenuity and inventiveness of ethical fashionistas, but I have a new heroine. Allow me to present to you the incredible Anka Domaske. A fashion designer with her own successful business, Mademoiselle Chi Chi in Hanover, her clothes are a favourite of starlets like Mischa Barton and Ashlee Simpson. But she's also a talented micro-biologist, who's created a new kind of eco-friendly fabric created from the most unlikely material. Her new bio-polymer is made from casein, a protein found in milk. Every year, millions of gallons of raw milk has to be disposed of as unfit for human consumption. Up until now, there was little that could be done with it. But Anka's process converts milk proteins into a silky, luxuriant thread that she's pushing as the ideal solution to the massive amount of waste product that builds up in stockpiles around the globe. Casein was used in fibre production in the 1930's, but it was a complex procedure that used a dangerous cocktail of chemicals. Anka's approach was to start again from scratch, using the most humble of resources. Her kitchen was her lab, and equipment was bought cheaply from kitchen supply stores. From this unprepossessing start, something remarkable happened. Anka's company, QMilk, is accredited to the highest levels of safety and ethical standards, and is creating products that are environmentally friendly and taking waste out of the manufacturing cycle. But what about the clothes? Well, QMilk is silken, and drapes beautifully when cut. It's hard-wearing, and long-lasting. 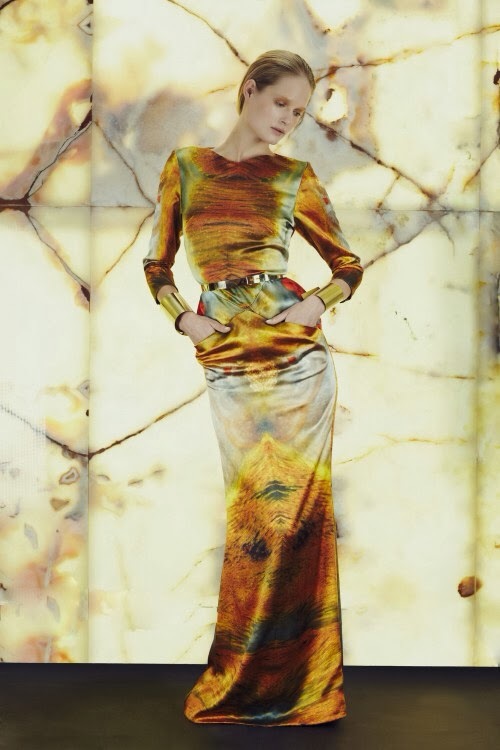 The material suits floaty, fluid pieces, although Anka is reportedly working on a menswear collection. If, like me, you thought milk only had a place in the kitchen, then it's time for a dose of education. Have a look at this video from German broadcaster Deutchse Welle, and prepare to have your mind blown in a very good way. 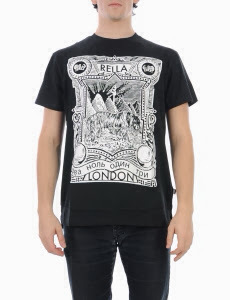 There's nothing more straightforward than the good old-fashioned t-shirt, right? Just grab one out of the clothes drawer and go. Three for a tenner. No brainer. Well, of course, things aren't that simple. NPR's Planet Money strand set out to find just how complex the task of getting a T-shirt from field to wardrobe has become by setting themselves a simple task: making their own. Over the course of six short videos, which I have oh so helpfully embedded below, the enormity of the task becomes clear. The business of global fashion, even when it comes to something as simple as a T-shirt, is a bewildering mix of processes: agriculture, manufacturing and logistics combining to put the cheapest and most disposable item of clothing on the shelves of a store near you. Check the full story out below. A quiet and compelling lesson in how we take a mind-bogglingly complicated supply chain as utterly commonplace and barely worthy of notice. Hampstead Heath is a remarkable place. An oasis of green clam in the middle of busy North London, it's also home to a huge variety of wildlife. This is a fact that can sometimes be lost by the public, on the Heath for a stroll or a kickabout. Wild About Hampstead Heath is a community project dedicated to letting the people who enjoy the Heath know about the wealth of wildlife around them. There are tons of events and meet-ups, and the Wild Heath Bikes that tour the park are packed full of activities and equipment to help you get up close to nature. That's one pictured above, along with some of the Wild Heath team - resplendent in hoodies supplied by Pier32! Wild About Hampstead Heath is a great initiative, which mixes fun and education in a very smart way. 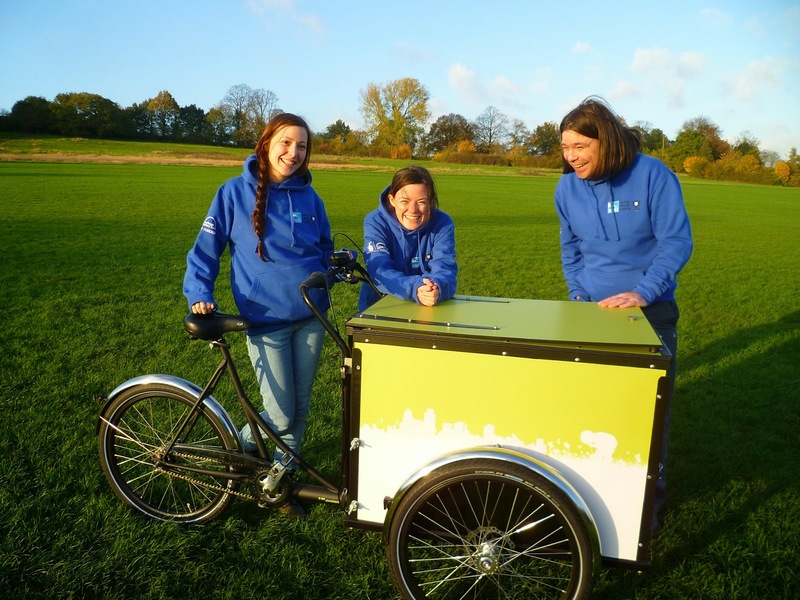 There's always room for volunteers if you want to get involved, or just look out for the bikes, and volunteers and of course the hoodies next time you're on the Heath! For more info, why not check out the website? Our attractive volunteers are in AWDI Street And College Hoodies, perfect for a windy day on the Heath. Recycling: Getting To Be A Habit? We're all used to the idea of recycling our bottles, cans and cardboard. It's just something we do, part of the weekly routine. Recycling clothing, though, is a habit that we're finding a little harder to catch. Part of the reason for that, I think, is opportunity. Our local council will collect a lot of our recyclables, and many workplaces have stations for paper, card and glass. To recycle clothing, though, means you have to take a trip to a bin in a supermarket car-park or shlep out to Oxfam. "Clothes cost money. Not getting the most out of them by mixing and matching garments, repairing favoured items, selling them on, or giving to charity shops means we're not getting the most out of that hard earned money, and wasting scarce resources." The figures are striking. We throw away clothes worth £140 million a year, and it's estimated that the unloved items in our wardrobes that haven't been worn in over a year are worth £30 billion. That's a chunk of change. Now, we've seen efforts like this before from different outlets and retailers. But this is the first time I think we've seen a concerted bipartisan effort that covers donation, recycling, upcycling and an educational spin to address the problem. If it works, then we could finally see the change in attitude that many of us would like to see from fast fashion: the illusion that clothes are cheap and disposable. Once we realise their true worth, and understand that you don't just have to bin last year's dress because it's off-trend, then we're going to start to make a real difference. Maybe this time, the lesson will stick. For more, have a look at the Love Your Clothes website. The Ethical Fashion Forum's Brand Preview is the place to be if you want the latest trends and ideas for the year ahead. Stuffed to the gills with designers and innovators from Bangladesh to Bond Street, it's an eclectic and inspiring show, made all the more inviting for a couple of reasons. First, it's free to attend. Second, you can enjoy the whole shebang from the comfort of your sofa, with a cuppa, in your onesie. The Brand Preview takes place entirely online, using the Citrix GoToMeeting platform. This means you can access it when and where you choose, dropping in and out as the mood takes you. It's robust enough that you can even use a tablet (which worked perfectly for me as a scribe on the go). And of course, the carbon impact is minimal. No shlepping across country to an anonymous conerence hall. This is my second Brand Preview, and I'm always struck by the way in which you very quickly get a handle on the upcoming trends and schools of thought that tick at the heart of the business. If you want a primer into the ethos and philosophy of ethical fashion in an inclusive and non-elitist atmosphere, this is the place to go. Let me give you a couple of examples from two of the seminars I attended (in my jammy bots, with the cat nudging at me for fuss). The Atelier show featured high fashion pieces finished to an extremely high standard. As I noted in my trends article last month, high-end fashion is increasingly taking note of the way ethical fashion rolls, and atelier is where the real innovators are to be found. As Jennifer of Eden Deodati, heading up the hour put it, fashion filters from the high end down. It will always slope from the catwalk to the high street. If it's trendy to be ethical, then the market will respond. There was significant use of innovative materials: biodegradables such as PLA (made from corn starch) or Japanese paper. Bamboo seems to be everywhere. José Hendo showed her clever use of organic bark. Clothes were accessorised with sustainable materials like rubber and brass. Prints and dyes are back too, with some great new techniques, including rust. Yep, good old oxidised iron can be used to detail clothes. There was, of course, a strong emphasis on social issues, and many of the exhibitors made a point of noting their work in empowering neglected and isolated communities and disenfranchised minorities. For example, Eden Diodati has started working with female survivors of the Rwandan genocide. Alongside that, there's a belief in merging traditional skills with modern techniques, and on training, allowing artisans to develop, expand and showcase the skills they have to offer. The eclectic nature of remix culture is especially playful in the atelier sector: why not as Ala Mairi showed, merge skills from Scottish and Pakistani artisans, mashing rich sub-continent colours with the solid structure of warm Northern European clothing? Upcycling also seems to be a big deal at the bespoke end of the market. From Raggedy's textural, structured one-of-a-kind pieces to Recycle Style's use of materials like newspaper in theatrical, avant-garde ways, there's a real sense of paradigm shift -- changing the perception of what constitutes rubbish and what you can do with it. One last point, which I think is especially pertinent for the expensive end of the market. Several exhibitors noted they were passionate about creating timeless pieces that can be worn again and again. This is a highly sustainable ethos, of course, but doubly important for a sector where high quality comes with a fat price tag. Thrift is the backbone of ethical fashion, and a shift away from the toxic habit of yearly trends which means you have to bin a wardrobe of perfectly good clothing just because Vogue tells you to can only be applauded. I was especially keen to check out the ethical menswear hour, speaking as an ethical man that wears clothes. Here, too, there's plenty of forward thinking. There are some clear trends at play. Tailoring is becoming more important, as the 21st century gent rediscovers the joy of dressing up. A focus on colour and detailing means that there's no need to be bland, either: witness the eye-popping cuff linings on Arthur & Henry's beautifully made shirts. Tweed, that most sustainable of local fabrics, is also making a comeback. We're seeing the growth in popularity of sturdy clothes for dapper blokes. Basics with an edge are going to be big in 2014, with companies like White T-Shirt Co. offering beautifully tailored tops and t-shirts in new fabrics that provide a superior fit and feel. With prints and graphics created using environmentally friendly dyes, be prepared to see ethical companies make big inroads into the high-end casual market. Innovation in production techniques was high on the agenda. Cocccon, for example, uses spinning looms powered with solar cells. Keeping sustainability at the heart of the process is core to many companies showing at Brand Preview. Bangladesh was, of course, on everyone's mind, and Rana Plaza has become a defining moment for the ethical fashion movement. It was great to see Rella, a company producing high-end tops and basics, based in Dhaka, Bangladesh. They have built a studio factory, insist on exemplary working conditions for their employees and are doing their utmost to show the industrial heartland of fashion how to do it right. I'm skimming over the surface of a very dep pool of information and inspiration here. The good news is that you don't have to miss out on any of it. Hit up the Brand Preview page of the Ethical Fashion Forum for links to all the exhibitors, and audio downloads of the seminars. I can't urge you strongly enough: if you have any interest in ethical fashion, this is where you need to be. Even if you are in your comfiest slippers. Toxins in kid's clothes: not a good look. No, I'm not talking about the way Burberry are smartening up public perception of the brand after years of punishment as the check of choice for chavs. I'm talking about something a little more worrying: the toxins in their children's clothing range. OK, I should point out that Burberry are not the only big name in the frame here. 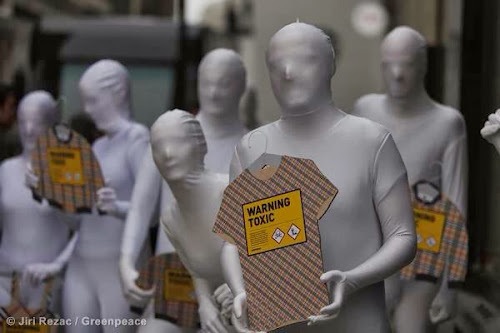 You know, I hope, about Greenpeace's Detox campaign: a long-running initiative to get fashion companies to fess up to the waste nasties that their factories dump into local water supplies, and to do something about it. Now, in a new twist to the saga, they tested kid's clothes from a wide range of high street children's clothes, looking for the chemicals that they called Little Monsters. The result was un-nerving. Every sample contained trace elements of toxins. They're not dangerous in the short term, but there's no evidence as to what long-term exposure could do. And, of course, the factories that produce the clothes are pumping out these chemicals in industrial quantities directly into local water supplies. The response from Greenpeace was swift. The Burberry shirt they had tested was part of a campaign modelled by Romeo Beckham, which gave the veteran campaigners a big lever to pull on. Reaching out to their social media feeds brought major results, as hundreds of concerned parents on Facebook and Twitter urged Burberry to act. A clever PR stunt saw mannequins walk out of Burberry's London flagship store in protest, and the pressure grew on the company day on day. After only two weeks, as Burberry saw their newly won credibility poisoned as effectively as they had poisoned Chinese rivers with their factory off-spill, the company caved. They signed up to the Detox pledge, promising to rid their supply chain of Little Monsters by 2020. This is a massive victory, and shows us a couple of very important points. Firstly, it shows just how protective clothing companies are to their brand. Any harm done to the friendly public face of the company has an immediate hit on the one thing they really care about: sales. Secondly, that weakness is one that can be effectively leveraged to get highly impressive concessions. As companies like Zara that have faced the Detox campaign in the past have seen, social media means that a little bad publicity can spread wide and fast. Greenpeace are past masters at protest and activism: the humble PR flack at a high street fashion chain doesn't stand a chance against an organised and intellegent campaign designed to stink up their name. You could argue that Greenpeace are using blackmail tactics to get what they want, finding a pressure point and squeezing. But then, if Chinese communities get their rivers back and our kid's clothes don't contain questionable toxins, the result is very much worth a little boardroom embarrasment, wouldn't you say?